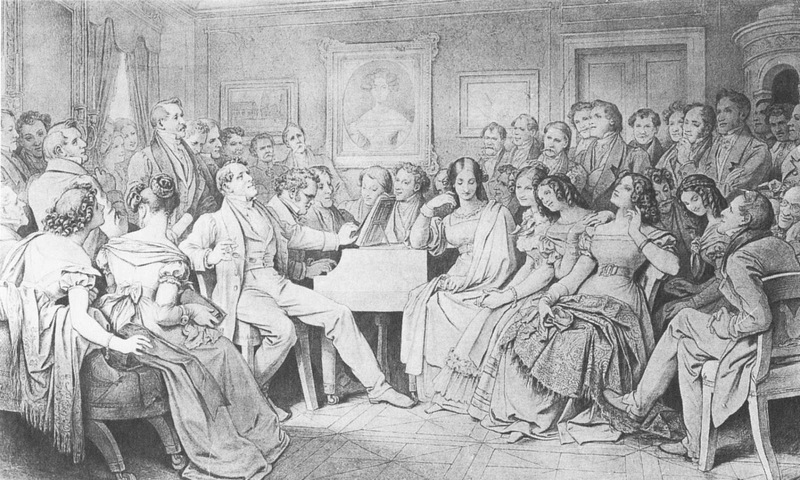 Friends Memorial: Schubertiade— Sunday, April 9, 3 p.m.
Schubertiade— Sunday, April 9, 3 p.m.
We will hold our first Friends Memorial Schubertiade. A music salon in which people can come to play or sing whatever they feel like. It will last until everyone has had a chance to perform. A Schubertiade is not a recital or a concert. Franz Schubert used to have his friends come over to his place just to make music, whatever they wished to play, new compositions, well known songs, etc. It is a bit like karoke' without the use of recording devices. All kinds of music, all kinds of fun. Just come, play, sing, or only listen.